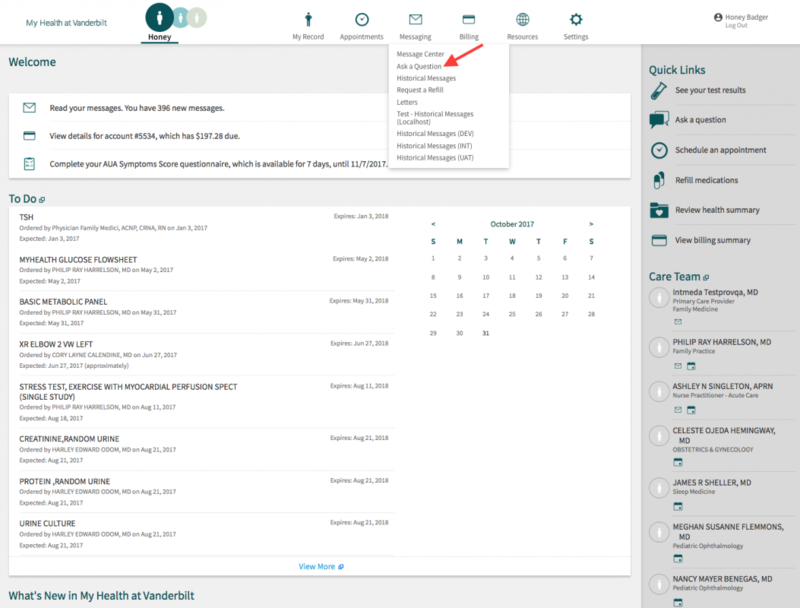 A My Health at Vanderbilt account lets you message your providers with non-urgent medical questions. 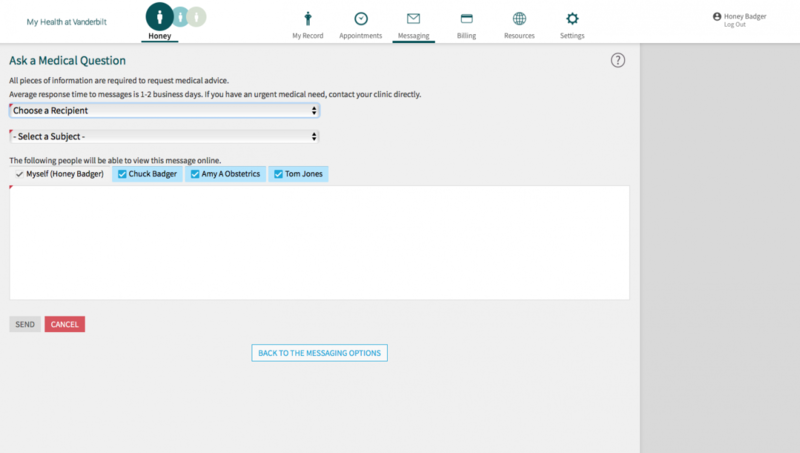 You can message any provider that you have had an appointment with in the previous three years. Please do not use My Health to send any messages requiring urgent attention. For urgent medical matters, contact your doctor's office or go to your closest emergency department. Click on the green “Ask a Question” button in the top right section of your screen. 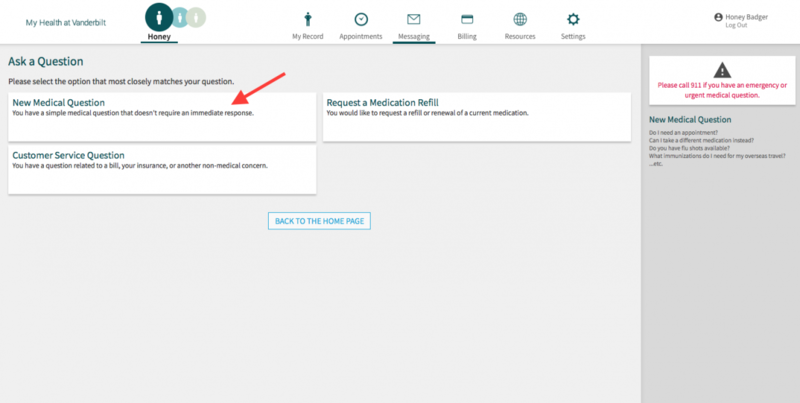 Click "New Medical Question" and select the provider you would like to message. Only those providers you have had an appointment with in the previous three years will appear. Complete your message and click “Send.” You can expect a response within two business days.